While piecemeal anecdotes and surveys have already exposed the devastation that PM Modi’s demonetization plan has had on the Indian economy, tonight we see the first hard evidence as Foxconn has asked 25% of its workforce to leave after the cash ban caused sales to collapse by 50% forcing the company to slash production by half. Amid social unrest and loss of faith in the nation’s currency, India’s economy has ground to a halt with its Composite PMI crashing by a record in the last month as demonetization strikes. And now, as The Economic Times reports, the government’s move to ban Rs 500 and Rs 1,000 notes from November 9 has had a domino effect on the mobile phone industry, where a large majority of mobile phones are bought for less than Rs 5,000 and most of the transactions happen through cash. Consumer purchase power has been reduced dramatically– mobile phone monthly sales halved to Rs 175-200 crore post demonetisation – and sales revival is not looking up, as was perceived earlier, industry insiders said. 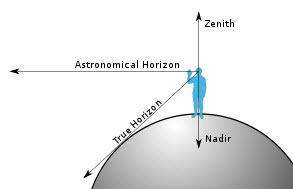 A final philosophical point. Our entire monetary system depends on trust. A banknote is a piece of paper that says the RBI will give the bearer another similar piece of paper, or make an entry in an electronic ledger for that amount. The system works because everybody believes that those pieces of paper will be accepted by everybody else and therefore, money serves as an useful medium of exchange. This move has shaken that trust. The Wharton Basin, especially its southern portions, is the key to this vile vortice. Ships and planes have not been the subject of study here but whirling rings of lights under the Indian Ocean. Ivan T. Sanderson’s Indian Ocean Vile Vortex. 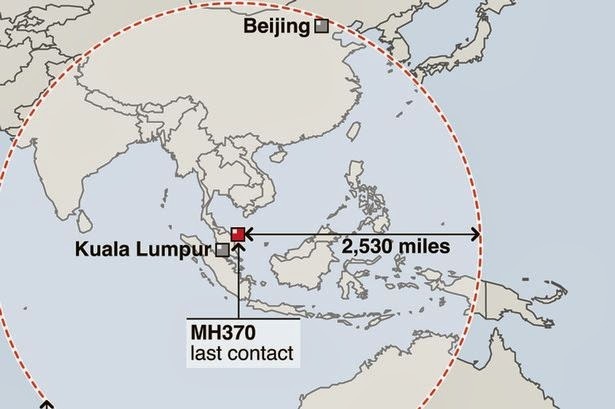 Unlike the Bermuda Triangle and Japan’s Dragon’s Triangle or Devil’s Sea, the area where Flight 370 appears to have vanished has no popular culture name. Because of its location of several storied waves and terrible winds, locals call these seas just south of here the “Roaring Forties.” But those seas may have distracted searchers for days. 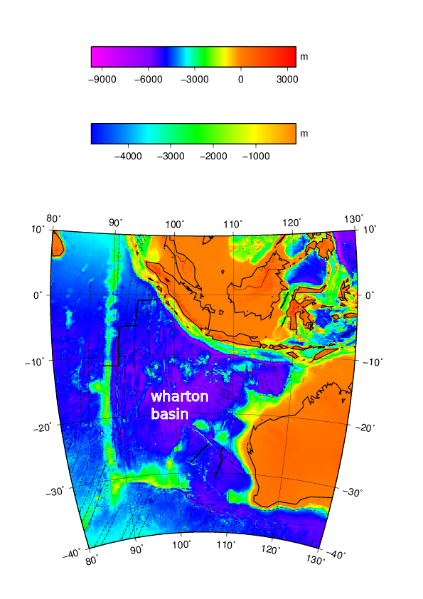 The area of interest is known in Fortean literature as the Indian Ocean’s vile vortex, labeled “Wharton Basin” on one map. While it was plotted out to be a predicted area of vanishings by Sanderson and others, there is a clear explanation of why it was ignored. Ivan T. Sanderson, Invisible Residents, 1970, p. 143. 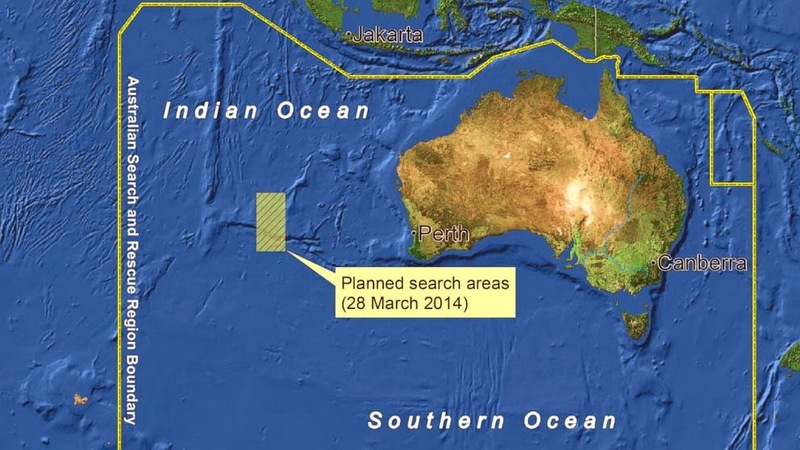 The Flight 370 search areas have moved around until now, when the focus is in the vile vortex of the southern Indian Ocean. One of Fortean Times’ original Gang of Fort has died. The world is a little less enlightened today with the passing of Steve Moore (1949-2014). Steve was well-known for his many Fortean articles, his editorship of Fortean publications, and his good spirits.On Wednesday, March 19, 2014, Bob Richard wrote the following to the Fortean list: “Just learned that my oldest friend and colleague, Fortean, sinologist, chaos adept, Chinese film buff and comics wizard, Steve Moore died sometime in the last few days. He had recently been diagnosed with angina following a deterioration of circulation in his legs. Simply don’t know any other details yet. 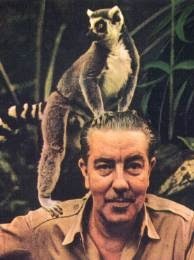 I miss him terribly already.”Steve was a rock in the Fortean world. This is earthshaking news! 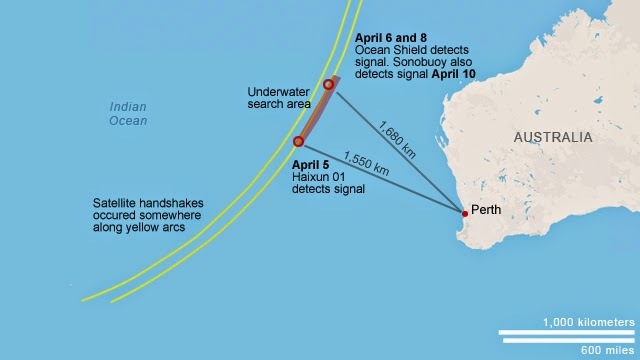 The search for missing Flight 370 is now focused on the Vile Vortex Ivan Sanderson pinpointed in the southern Indian Ocean. 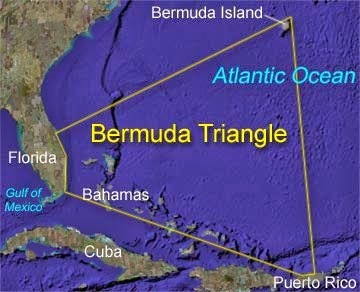 Did you know there is a southern form of the Bermuda Triangle? 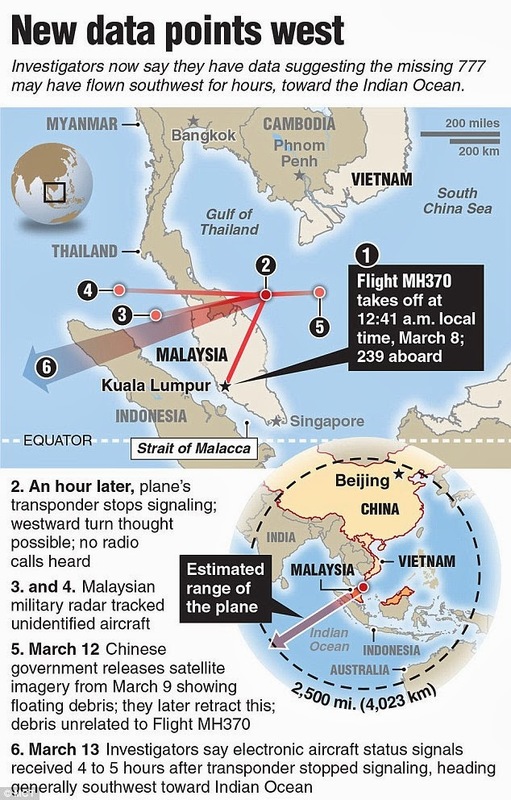 One of the most popular posting I’ve written for this Twilight Language blog (with over 12,000 readers as of today) is “Terrorism, Aliens, Vile Vortices: The Mysteries of Missing Flight 370,” published on March 9, 2014. Today, I want to explore more deeply aspects of that essay. Why “No Little Green Men”? So, I must ask, how does anyone know this? John Goglia (above) served as a member of the U.S. National Transportation Safety Board (NTSB). 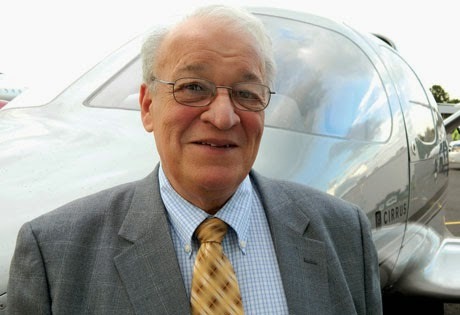 With more than 30 years experience in the aviation industry, he was the first NTSB Board Member to hold an FAA aircraft mechanic’s certificate. 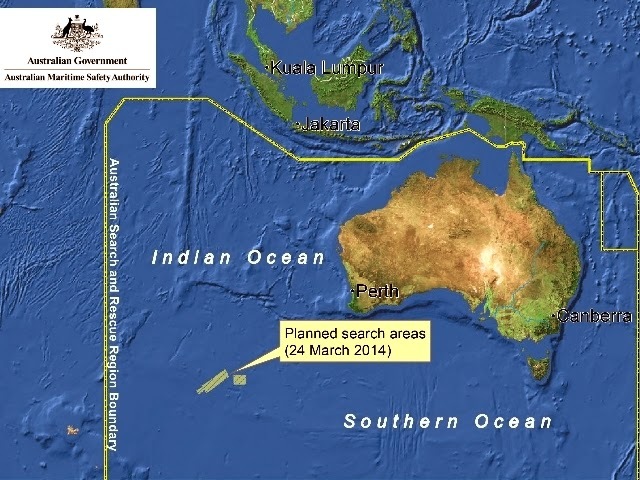 The mystery of Flight 370 continues to evolve. 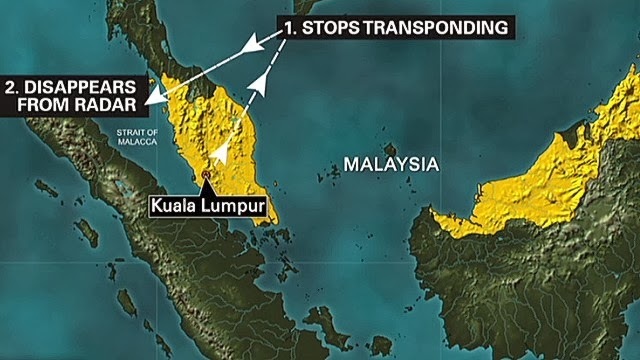 The strange Chinese satellite photo of three objects east of the location of where the transponder was turned off is now said to have been a “mistake.” New information from the USA government, has led now to the possibility of opening a new search area in the Indian Ocean for the missing Malaysia Airlines plane, White House spokesman Jay Carney said on March 13th. Many countries are partnering in the search and “following leads where we find them,” he said. The area has continued to expand to now include the Indian Ocean. Certainly, the cause of this disappeared flight is probably due to terrorism, bad weather, catastrophic structural failure, pilot suicide, engine failures, being shoot down, an internal bomb, a hijacking gone wrong, or something else rather terribly mundane in our modern era. 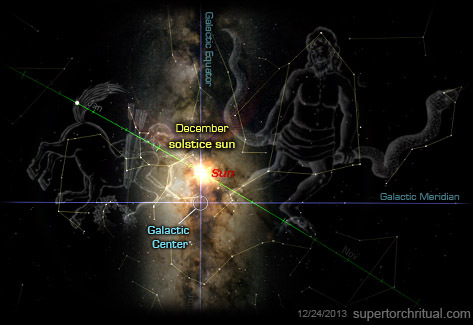 Little green men, ufos, and vile vortices? How silly, right? However, logic dictates that there is no reason to take anything off the table, from twilight dimensions to an area of known missing ships and planes. Lists of aerial disappearances are being scanned and stories like the 1937 Amelia Earhart disappearance are being dusted off, by television news programmers, to decide what ones should be highlighted. 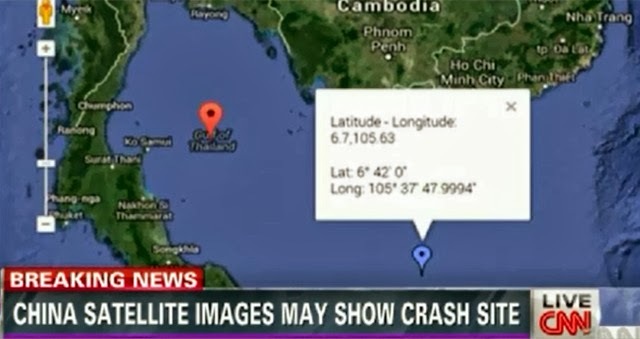 For example, on March 13, CNN News will be broadcasting a special on the History of Missing Planes at 10 PM Eastern. Clearly, this mystery has captured the public’s interest, and historically fits into a well-studied Fortean field. 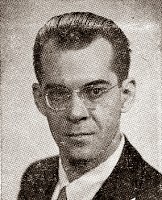 The entire popularization of “triangles of vanishings,” is to be credited to Fortean writer Vincent Gaddis, who put the Bermuda triangle “on the map” in a February 1964 Argosy feature, which he said extended Florida to Bermuda, southwest to Puerto Rico and back to Florida through the Bahamas. 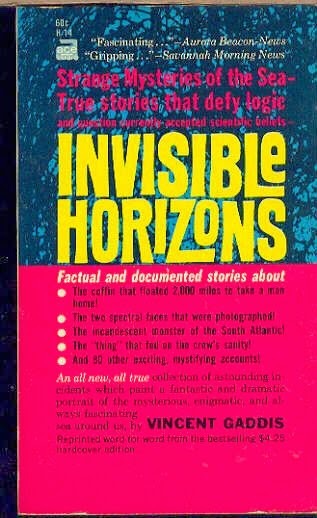 In 1965, Gaddis’ book, Invisible Horizons, furthered his thesis with more accounts of disappearances. One of the most popularly known Bermuda Triangle stories is of the disappearance of Flight 19, consisting of five TBM Avenger torpedo bombers that disappeared on December 5, 1945, while over the Atlantic. Gaddis’ friend Ivan T. Sanderson was behind the scenes in the conceptualization and came up with his own theories about a worldwide grid of such locations he called “Vile Vortices.” Indeed, I appeared, in 2006, on the History’ Channel’s UFO Files’ episode “Pacific’s Bermuda Triangle,” talking of my knowledge of Sanderson’s interest in the subject. off Japan, in an area that extends as a triangle between Japan and the Islands of Bonin, including a major portion of the Philippine Sea. One of the most celebrated stories of Dragon’s Triangle missing ships is that of USS Cyclops which disappeared in March of 1918. Few realize that the various theories as to why the Cyclops went down lead to the famed novel and resulting movie, The Poseidon Adventure (1972).Is there a Vile Vortex in the most recent direction that Flight 360 is said to have been flying? Yes, one of Sanderon’s Vile Vortices is in the Indian Ocean, where some planes and more have vanished. During World War II, on July 7-9, 1943, a famed Japanese aviator and explorer Kenji Tsukagoshi flying a prototype Tsukagoshi Ki-77, from Singapore to Sarabus (now Hvardiiske, Crimea) to over the Indian Ocean, was lost with a crew of 5 and 3 Imperial Japanese Army passengers. On March 25, 1986, K2729, an Afghan Air Force cargo plane, an Antonov An-32 flight, disappeared over the Indian Ocean, 450km off Jamnagar, India. It was operated by the Indian Air Force. Not missing, but a mystery, in 2004, a Beechcraft 200 Super King Air left Perth, Australia, on a 600 kilometre journey and eventually flew 2,840 kilometres before crashing in Queensland. 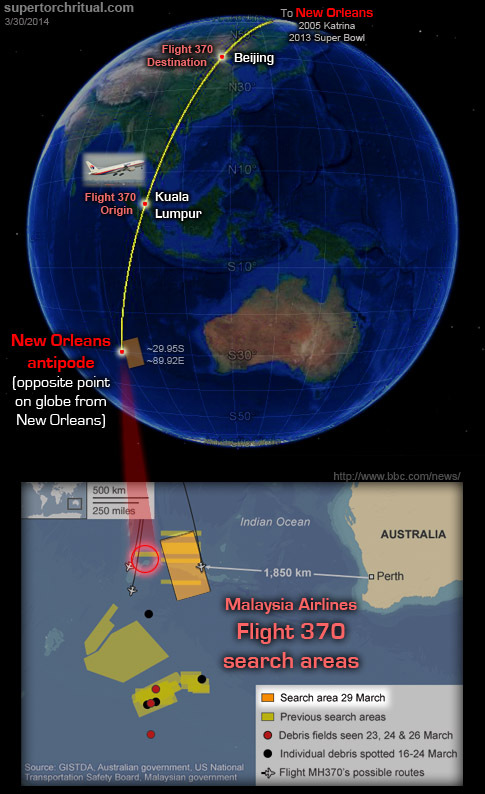 Will the mystery of Flight 360 ever be solved or join the annals of other Fortean mysteries? Credit sources: Wikipedia, the books of Vincent Gaddis and Ivan T. Sanderson, my files, and online maps. Mysteries love theories. Unknown gaps in data call for speculations. We are seeing it happen this weekend. Malaysia Airlines MH370, a Boeing 777, has gone missing. 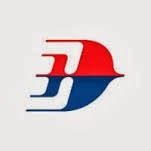 Airline officials lost contact with the plane, which was carrying 239 passengers, two hours into the Kuala Lumpur-to-Beijing flight, on Saturday, March 8, at 2:40 a.m. local time (18:40 GMT). It is thought it went missing off the coast of Vietnam, but that is pure speculation. Who was on board? A delegation of painters and calligraphers, a group of Buddhists returning from a religious gathering in Kuala Lumpur, a three-generation family, nine senior travelers and five toddlers.Most of the 227 passengers on board missing Malaysia Airlines Flight 370 were Chinese, according to the airline’s flight manifest. 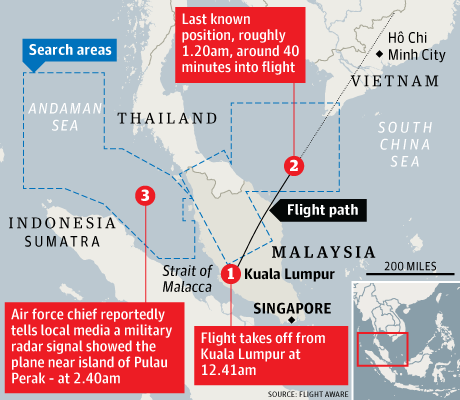 The 12 missing crew members on the flight that disappeared early Saturday were Malaysian.Other passengers were from India, Indonesia, Australia, the United States, France, New Zealand, Ukraine, Canada, Russia and the Netherlands, the airline said.Keller, Texas native, 50-year-old Philip Wood, was on Malaysia Airlines Flight MH370 when it disappeared over the Gulf of Thailand in the South China Sea. Philip Wood works as a technical storage executive at IBM Malaysia and was transferred to a job from Beijing to Kuala Lumpur, the capital of Malaysia, where the flight originated. A Boeing 777 goes missing. Is someone playing a numbers twilight game? Was it terrorism? Two people named on the manifest — an Austrian and an Italian — whose passports had been stolen were not aboard the plane. But speculation is they were just trying to immigrant, yes, illegally, from Iran. There are questions about a third, Chinese, passport, but word of that has disappeared from the media. 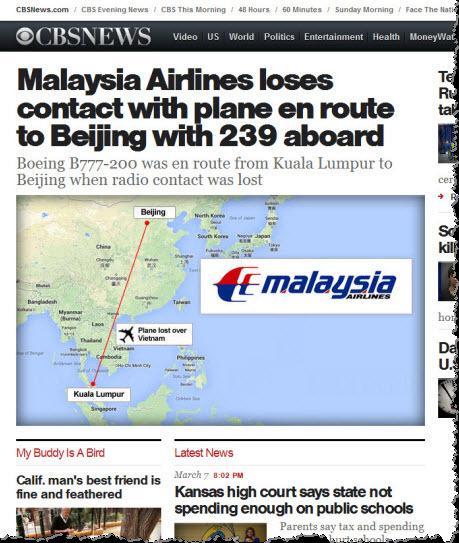 On March 8th, the Austin, Texas-based Freescale Semiconductor confirmed that 20 employees were passengers on Flight 370. Twelve are from Malaysia and eight from China, the company said. The history of Freescale Semiconductor is intriguing. Freescale was one of the first semiconductor companies in the world, having started as a division of Motorola in Phoenix, Arizona in 1948, according to the company’s own historical data. In 1955, a Motorola transistor for car radios was the world’s first commercial high-power transistor. It was also Motorola’s first mass-produced semiconductor device. It was in 2004, a mere decade ago, when it became autonomous by the divestiture of the Semiconductor Products Sector of Motorola. Motorola? 1948 for this division? In Phoenix? Who came up with the name Motorola? It turns out most credit for the name is given to William “Bill” Lear, in 1930, the investor/inventor who would go on to produce such items as the 8-track music cartridge and the Lear Jet. 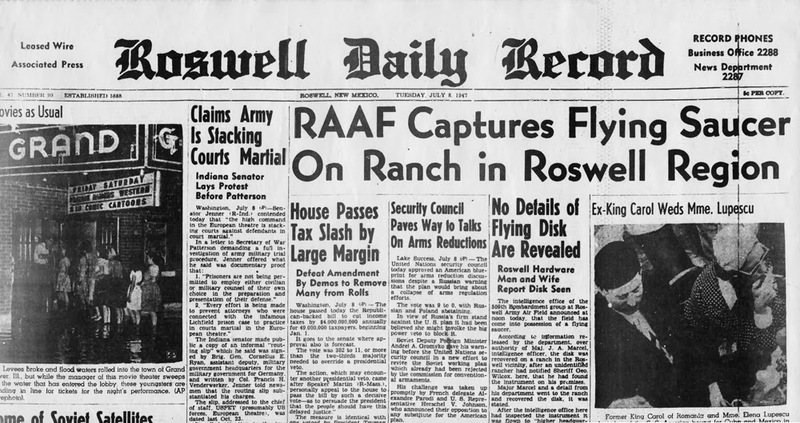 Perhaps it is only a coincidence that the mystery of UFOs date to such events as Roswell in 1947, in nearby New Mexico. Some folks take the notion of “Reverse-Engineering Roswell UFO Technology” very seriously. In that paper, computer company chief Jack Shulman argues that the transistor could never have been invented so suddenly at AT&T in late 1947 without input from top secret Government projects, that some have identified to him as being from alien spacecraft. 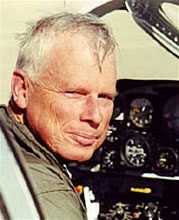 And then there is Bill Lear’s son, John, who is an accomplished pilot, former CIA operative, and Ufologist. He is noted in the latter field for promoting a variety of conspiracy theories which are based, he claims, on information obtained from military contacts. 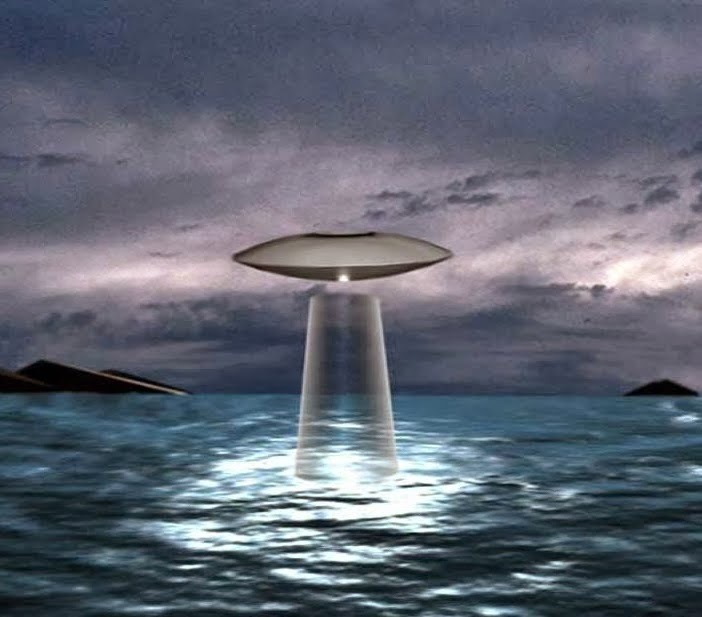 Lear is a controversial figure in Ufology, to say the least, for many of his statements. Lear believes that any number of flying discs ‘fell’ into our hands when they crashed in the southwest in the late 1940’s and early 50’s. Lear’s scenario also includes the suspicion that the government has made secret deals with the ‘aliens’, actually exchanging humans for advanced technological data. Source. Will we be hearing that aliens are behind the disappearance of Flight 370? Ooops. I guess some sites are already writing about this form of speculation. 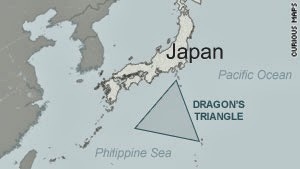 Did Flight 370 vanish off Vietnam into a Devil’s Triangle-like area, like the one found off Japan? Who knows, but this is not an area recognized in Fortean literature for such disappearances. 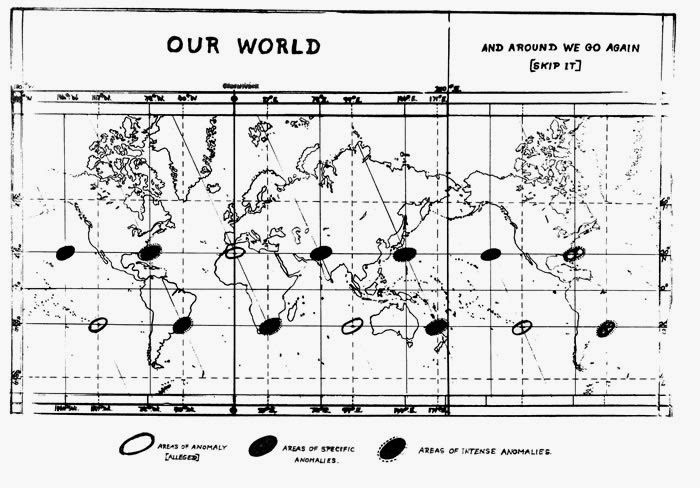 Indeed, examining Ivan T. Sanderson’s traditional map of “Vile Vortices” around the globe does not show one in this location. 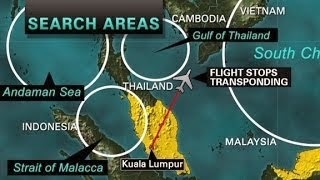 But an airliner is missing, and answers are wanting about what happened.Update March 12. 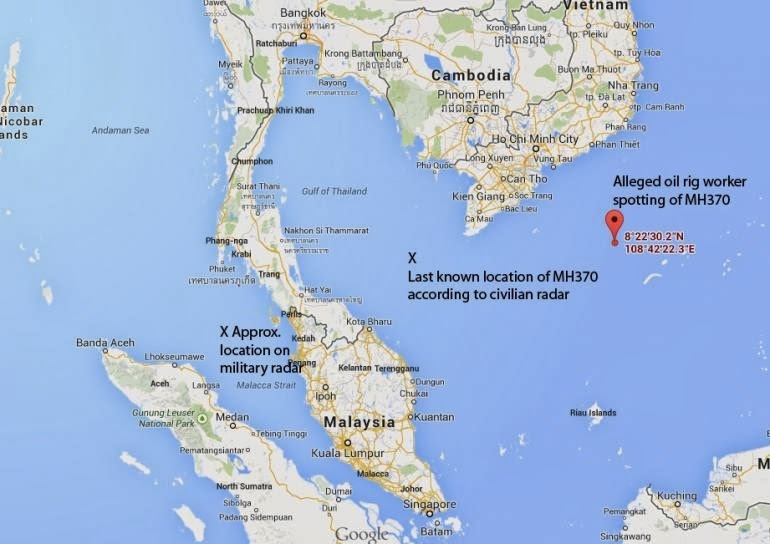 It has been confirmed by military radar, and missed by civilian radar, that the plane’s transponder was turned off as 370 neared the Vietnam coast. 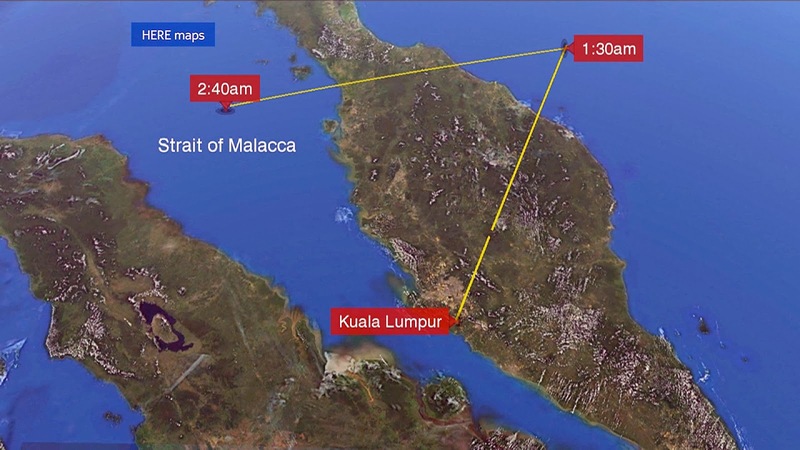 The flight then turned around and fly over the Malay Peninsula. Late on March 12, the Chinese authorities announced they have new images of 79″ by 72″ object in the ocean that they think is 370 debris. 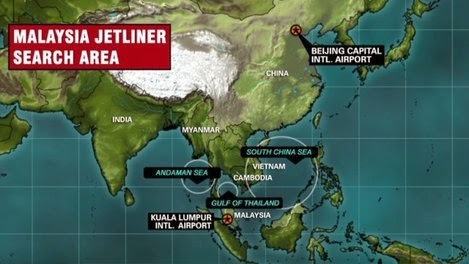 The mysteries surrounding the disappearance of Malaysia Airlines Flight 370, and the true identities of some of its passengers, are as deep as the South China Sea waters where a multinational search team is searching for the jet. One promising lead has turned out to be a dead end. 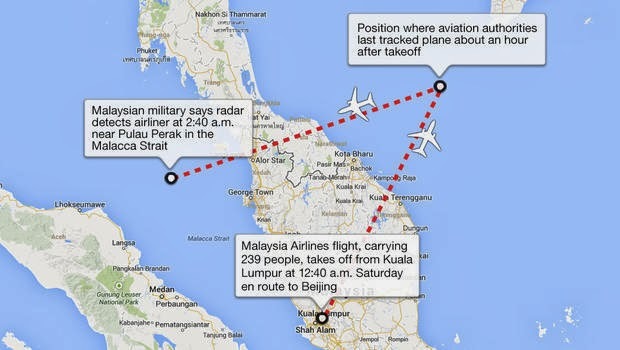 A “strange object” spotted by a Singaporean search plane late Sunday afternoon is not debris from the missing jetliner, a U.S. official familiar with the issue told CNN on Sunday. A U.S. reconnaissance plane “thought it saw something like debris but it was a false alarm,” said the official, who spoke on condition of anonymity. 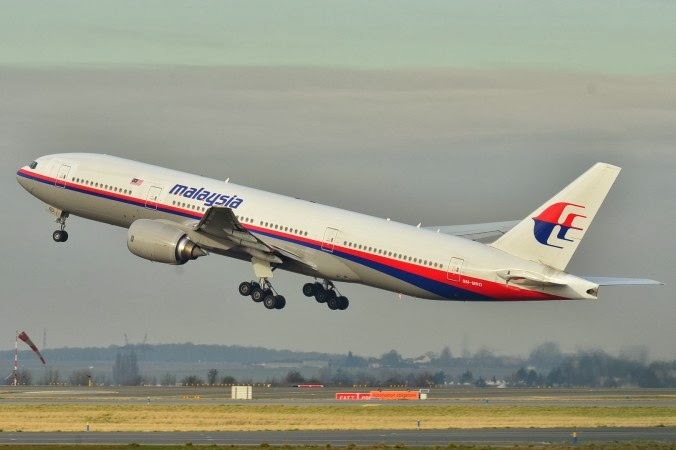 If all those on board Malaysia Airlines Flight 370 are found to have died, it will rank as the deadliest airline disaster since November 12, 2001, when American Airlines Flight 587 crashed into a New York neighborhood, killing all 260 people on board and five more on the ground. Many recall that crash with horror, as it followed so closely after the events of 9/11 in New York City. 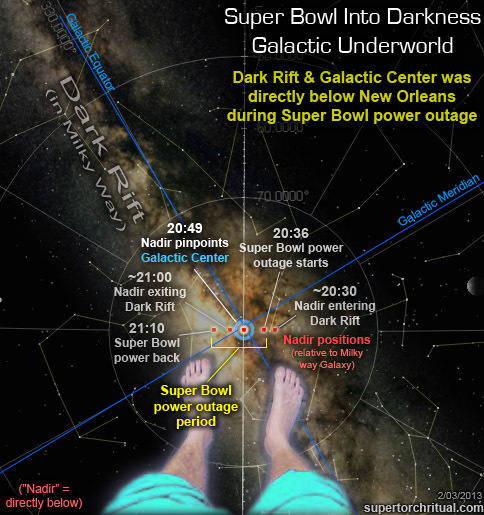 …which pinpointed the city of New Orleans.Initially (weeks ago) I was unable to make much of it other than the fact that last year’s Super Bowl was played in New Orleans and Hurricane Katrina devastated the city in 2005. Now things are much clearer. 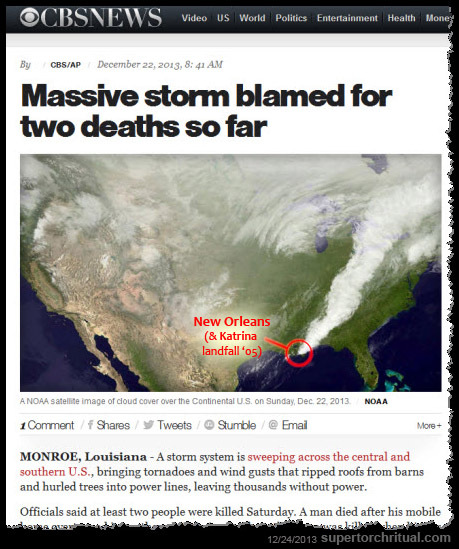 New Orleans’ antipode – or the diametrically opposite point on a globe – pinpoints the search areas where the plane is currentlyspeculated to have gone down! 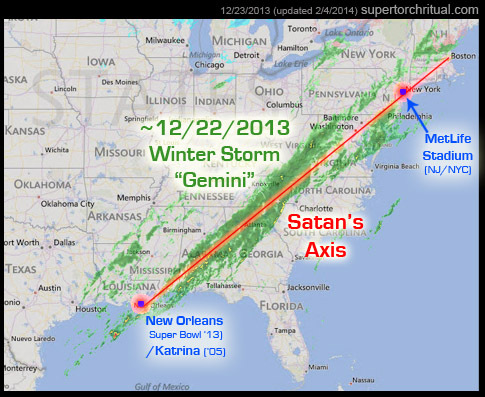 The March 29 orange box (most recent search area) has since shiftedslightly westward (left) and presumably it will get closer and closer to New Orleans’ antipode. 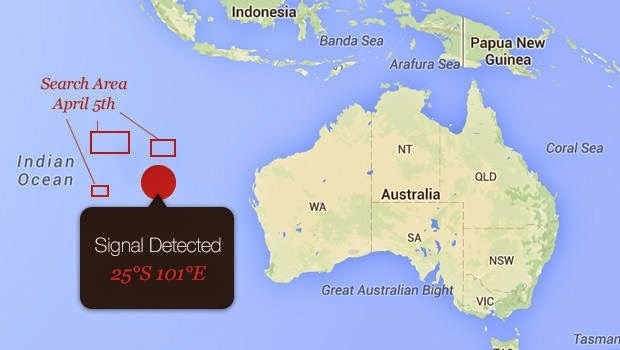 Will they finally find Flight 370 there? 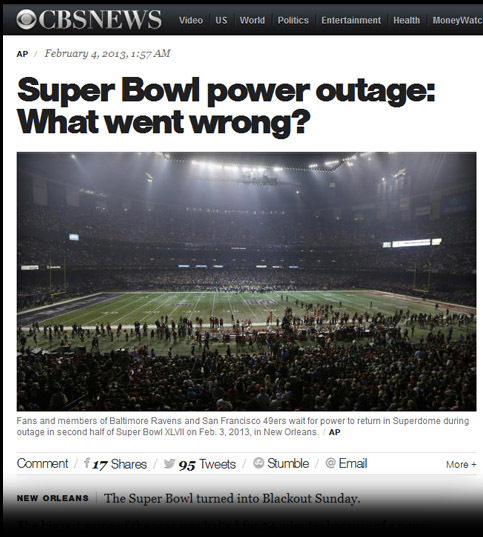 …which is the exact spot that was directly below New Orleans – in the “underworld” as it were – during the 2013 Super Bowl power outage (darkness). Each BRICS member is expected to put an equal share into establishing the startup capital of $50 billion with a goal to reach $100 billion. The BRICS bank will be headquartered inShanghai, India will preside as president the first year, and Russia will be the chairman of the representatives. Each country will send either their finance minister or Central Bank chair to the bank’s representative board.